Be aware! Stay ware! Be constantly conscious of the significance of penguins. 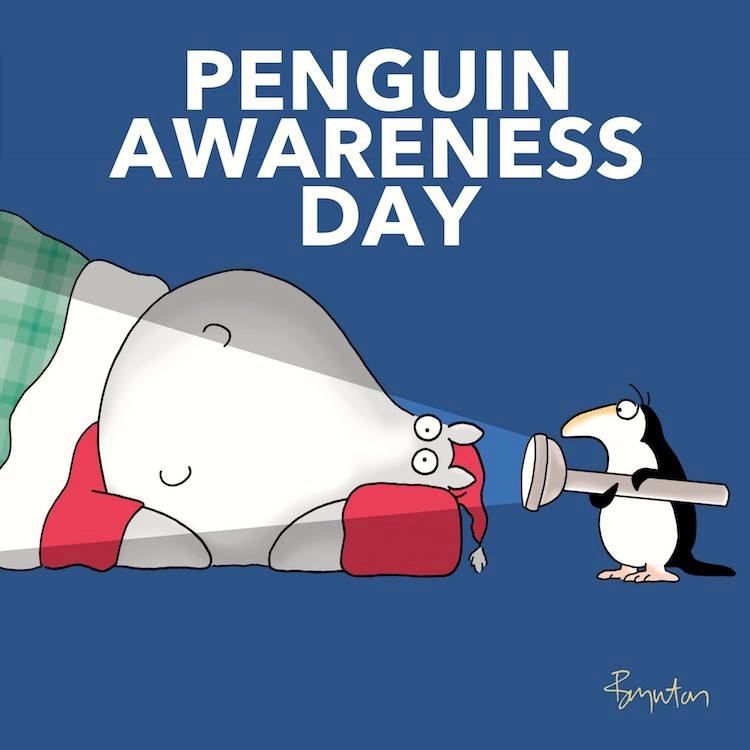 If that takes having a penguin shine a bright light in your eyes, so be it. As I observed yesterday, in the posting “22-festoon!”, today (December 22nd) is the holiday of Festoonus, celebrating “the victory of light over darkness, good over evil, and knowledge over ignorance”, with “elaborate light shows, decorating your bodies, sharing exotic food, dancing, and making public and communal art and music”. Inevitably, there are people who are intensely devoted to, identified with, the holiday. These are the Festoonists. And here I get to explain that today, December 21st, is Festoonus Eve, aka PeneFestoonus (‘almost Festoonus’, with the prefix pen(e)- ‘almost’ of peninsula, penumbra, penultimate, and penecontemporaneous) or the Day Before Festoonus. You might choose to dip Ludwig van in chocolate today; it’s his birthday. 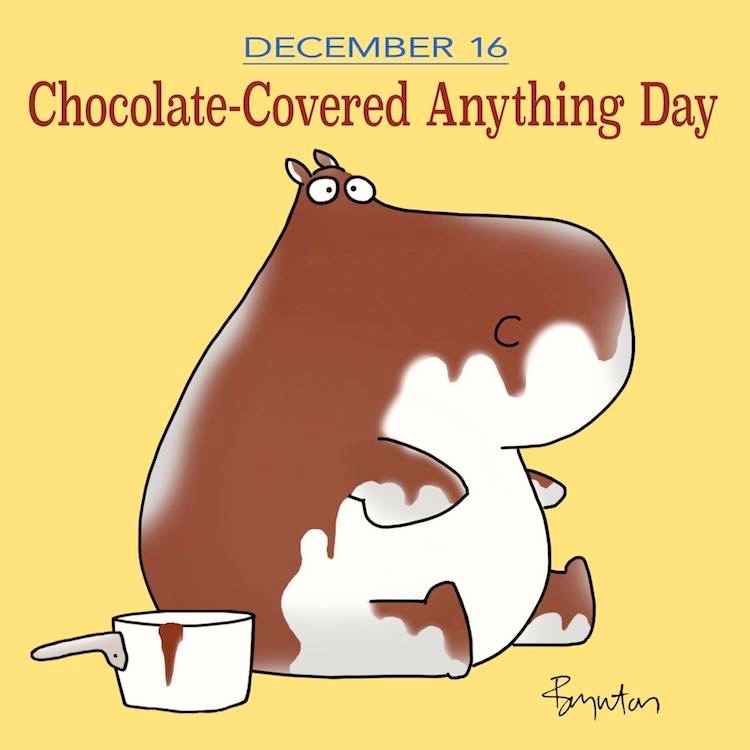 Better, celebrate my excellent friend Ned Deily; everyone is better with chocolate on them, and it’s his birthday too. A simple idea: take stock photos of people doing their jobs and exploit their potential for ridiculousness, especially by captioning. Surveyed on 5/19/18 by Dunja Djudjic in “People Are Sharing Hilariously Bad Stock Photos of the Jobs and They Will Make Your Day” (#BadStockPhotosOfMyJob). Here are some linguistics contributions. We’re in the middle of the SyFy Channel’s Sharknado Week (the 12th through the 19th), an event that continues to fly the banner of life-threatening sharp-toothed monster-fish even after the Discovery Channel has largely turned over its own SHARK WEEK offerings (July 22nd through 29th this year) to putatively informative feature stories. None of that wimpy speculative journalism for the staff at SyFy, who steadfastly maintain the tradition that has brought us SyFy-original gems like their 2010 Sharktopus vs. Pteracuda (which I watched again yesteday). Deep Blue Sea 2, Megalodon, Santa Jaws, Frenzy, Nightmare Shark, 6-Headed Shark Attack, with, as an extra attraction on Sunday, The Last Sharknado: It’s About Time! The tromboon is a musical instrument made up of the reed and bocal of a bassoon, attached to the body of a trombone in place of the trombone’s mouthpiece. It combines the sound of double reeds and the slide for a distinctive and unusual instrument. The name of the instrument is a portmanteau of “trombone” and “bassoon”. The sound quality of the instrument is best described as comical and loud. Ingrid Superstar is obviously possessed, perhaps as a consequence of the entire company of the damned dipping into her chafing dish. 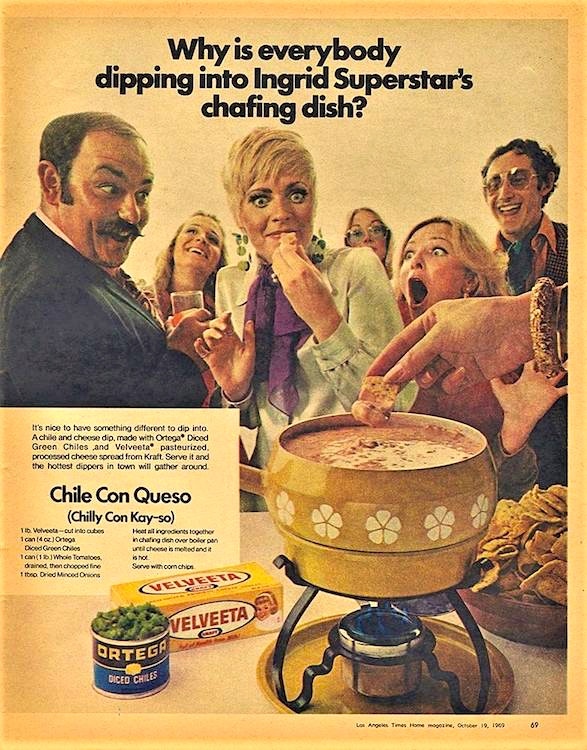 With a little lesson in pronouncing Spanish, and of course a celebration of the processed cheese product Velveeta, which has been beguiling the unwary with its silky smoothness since 1918. Plus the inventively crude sexual slang dip into s.o.’s chafing dish. 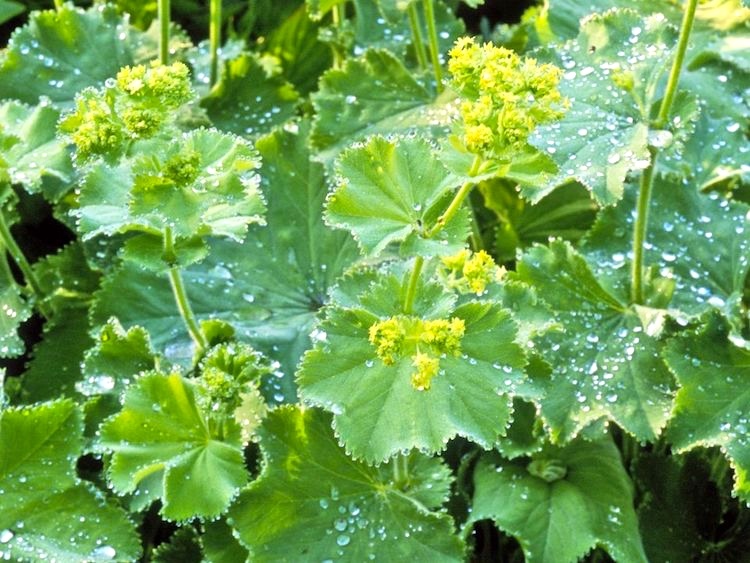 Alchemilla mollis. A satisfying plant we grew in Columbus OH. Handsome ground cover. Photographer’s joy. Etymologist’s delight. 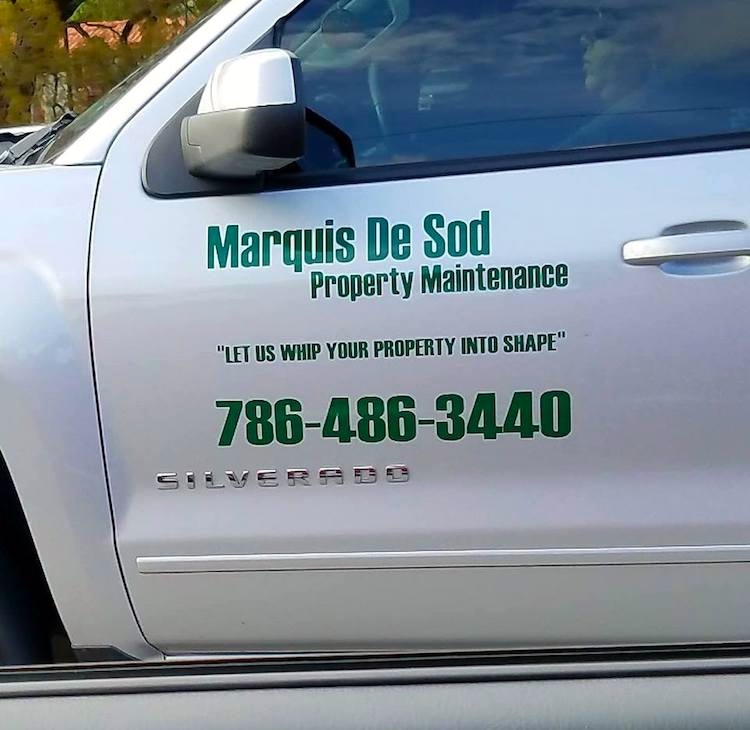 If Christian Gray is out on call, Marquis De Sod will discipline you — work you over in raunchy verdure under the fierce Florida sun. They will bind you, edge you, train you, hold you back until tomorrow, when they will allow you the release of Masturbation Day. You are currently browsing the archives for the Silliness category.